The U.S. Department of Justice has announced its intentions to sue New York City for alleged civil rights violations of teenage inmates in Rikers Island jail, the New York Post reports. According to the news site, the DOJ has expressed dissatisfaction with attempts by New York City Mayor Bill de Blasio’s administration to speed up reform at the problem-ridden complex and has opted to step in for itself. The DOJ is hoping to sign on as a new plaintiff in a pending 2011 class action lawsuit alleging excessive force, the Post notes. 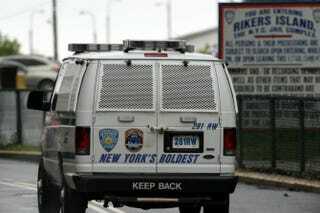 According to the Post, Manhattan U.S. Attorney Preet Bharara’s office revealed in a blistering report that Rikers was a “broken institution” riddled with the problem of brutality by guards, with teenagers held there subject to routine beatings, as well as other issues. The report from the attorney’s office implored the city to take counteractive measures or face possible action by the DOJ. Bharara’s office reported that it had tried to settle with the city over the past several months, hoping to come to some sort of an agreement, but “thus far insufficient progress has been made,” the Post notes.